Registrations grew an amazing 83% YoY in January, to over 153,000 units, with BEVs jumping even faster, at 143% YoY, allowing them to no have 72% of the market, while the Global PEV share already hit 1.9% last month. Should these brilliant performances continue throughout the year, and we could reach a final yearly tally of around 3,6 million units. This would place the global PEV share close to 4% by year end, and the complete disruption of the market by 2021. But we are already witnessing the first signs of the upcoming disruption, as 9 of the models in January's Top 20 weren't there one month ago, and one of them jumped to #2! It is still too early to know if this a freak event, or not, but one thing is certain, the weak month of the Tesla Model 3, only #4 in January is explained by the fact that the maker tried to sell everything it had in December, because of the end of the full US tax credit, and because in January it focused in shipping Model 3's to overseas markets, actual deliveries in January were abnormally low, which should be compensated in February and especially March, with a true tsunami of global deliveries. But enough of the disruption being brought by China and Tesla, what about Legacy OEMs, is there anything insteresting happening? Oh yes...The Hyundai Kona joined the ranking at #15, and should rise even further as the year develops, signaling another trend for 2019: The rise of Korean models. As for the remaining ranking, it is rather surprising to see the VW e-Golf showing up in #17, but this is maybe one way of Volkswagen saying: "Hey, don't forget us, we are still in the race!". Finally, a special mention for the quirky Great Wall Ora iQ5 EV, the first dedicated EV from the Chinese giant, having landed only a few months ago and with a, let's say, controversial styling, this sort of Manga-style BMW X4 is helping Great Wall to recover lost time and become one of the major players in the field. January saw BYD win the monthly Manufacturers title, thanks to some 28.000 units, as the automaker kept on pushing production, even after the new year got in. With Tesla focusing in shipping production to overseas markets, SAIC took the opportunity to jump into Second Place, thanks to a record 14.721 registrations, with the Shanghai-based maker already opening up a significant distance over the competition, in the race for this year Third Spot (because we know who will be in the first two places, right?...). Coming down from Outer Space and back to Earth, Nissan started the year in 4th, but with #5 Geely growing faster YoY, the Japanese carmaker could lose its spot in a couple of months, which would make three Chinese makers in the Top 4, in the company of Tesla. The tumble of the month went for BAIC, that dropped to #9, with only 4,500 deliveries, with rumours saying that they had problems at their plants, thus preventing them to fulfill orders, while Chery also had a significant drop, from #7 to #15, regarding December. But for every drop, there is a climb, and this time it was no exception, Volvo jumped 5 position regarding December, to #15, while the #13 Great Wall and #18 Lifan joined the ranking, both scoring record results last month. Will they hold on to a Top 20 spot? 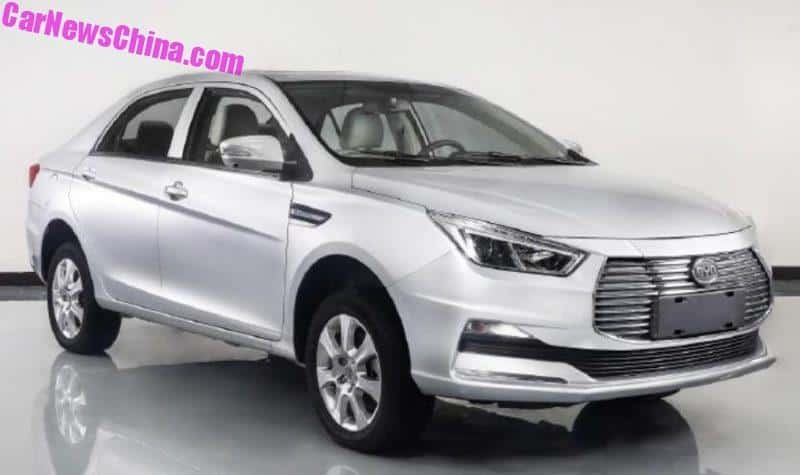 Great Wall almost seems certain, but regarding Lifan, there's still some doubts regarding their consistency. "Are we there yet? Are we there yet? Are we there yet? I never thought it would take so long to land in Europe..."
The European passenger plug-in market registered over 33,000 registrations in January, growing 28% regarding the same period last year, but don’t be fooled into thinking that it’s business as usual in Europe, because we are witnessing the fall from grace of PHEVs, which have been experiencing consecutive losses since the new WLTP-rules enforcement, while on the other hand, BEVs have been flourishing, in the first month of 2019 all-electrics jumped 67% YoY, to almost 21,000 deliveries, being now responsible for 62% of all PEV sales, leading to a record 1.7% EV share, and adding PHEVs to the tally, the share jumps to 2.8%, already above the 2.5% result of 2018. 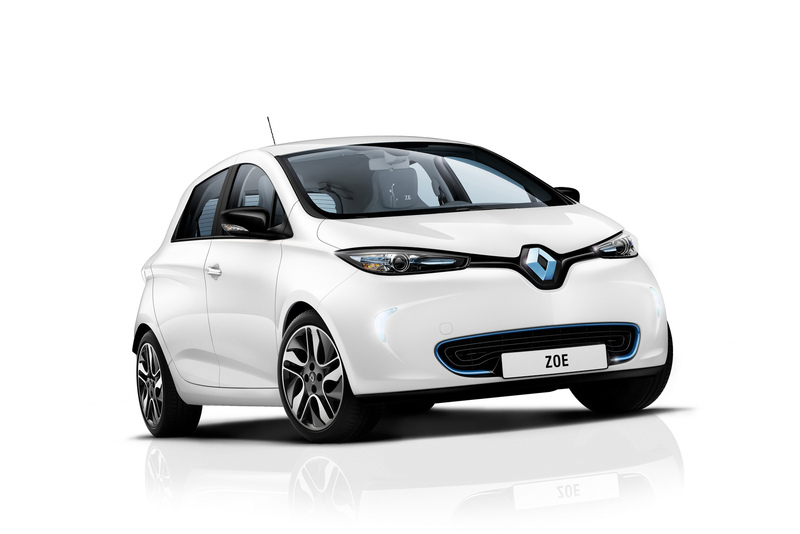 #1 Renault Zoe – The 3,340 deliveries in January signaled the return to the leadership of the French hatchback, with deliveries up 79% YoY, and now with no production constraints, one should see if the demand continues as strong for the current generation, one the much improved “new” is showed to the world in the Geneva Auto Show. As for market individual performances, the Zoe continues as popular as ever in its domestic market (1,496 units, +136% YoY), and there also were positive numbers in Germany (799 units), Sweden (239 units) and The Netherlands (237 deliveries, new record). #2 Mitsubishi Outlander PHEV – Dependable and always fit for service, the Japanese SUV started this year race in 2nd, thanks to 2,983 registrations, with the Mitsubishi model continuing to be popular in Scandinavia (456 units in Sweden, 415 in Norway) and elsewhere, as the several three-digits performances (Germany, France, Spain, UK…) can attest. This is a popular nameplate, due to its mix of utility, space, decent electric range and (relative) affordability. On the long run, one wonders how much damage the recent BEV push will make, although, with no direct BEV competitor in sight, the Mitsubishi model can still rack up sales without major worries. 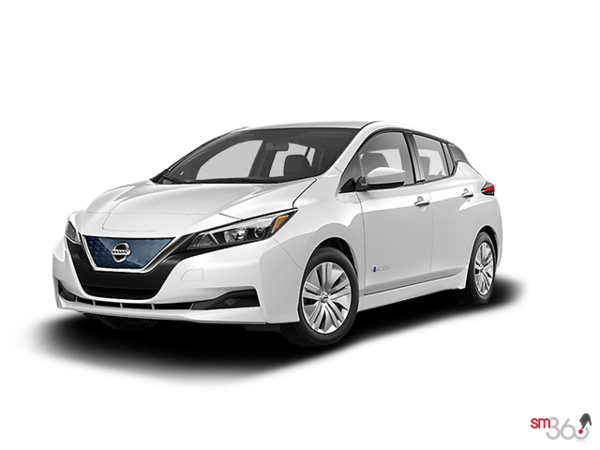 #3 Nissan Leaf – Europe’s 2018 Best Seller and the most common plug-in in the world started the year in 3rd, possibly giving the first signs that their audience is already waiting for the 62 kWh version, and considering that the new version will only be available across the Continent in in the beginning of the summer, Nissan will have to pull out some rabbits out of the hat (as in, nice discounts) to continue in a steady pace. Nevertheless, by registering 2,899 units in January, the Nissan hatchback showed that is can still move a significant level of stock, with the main markets being Norway (673 deliveries), France (341), and The Netherlands (396). #4 BMW i3 – The German Stormtrooper Hatchback sales were up 33% in January, to a near-record 2,489 units, with the BMW pocket rocket benefitting from the age-old formula “bigger battery = bigger sales”. Looking at individual countries, Norway (619 units) and Germany (703) were the highlights, but France (229), The Netherlands (112) and Austria (106), were also significant markets for the BMW nameplate. Looking into 2019, expect deliveries to remain relatively stable in the coming months, as the Tesla Model 3 could steal some growth potential to it, but it won’t be enough to put its sales in the red. #5 Volkswagen e-Golf – Remember the time when saying “e-Golf” was synonymous with “Norway”? Not anymore, despite Norway still being one of the largest markets (666 units), the German BEV deliveries are now more balanced, having registered 746 deliveries at home, with The Netherlands (653) also posting a big three digit-performance, so the 2,442 units registered in January were more evenly spread than in the past. It remains to be seen how the e-Golf will resist to the arrival of newer, more competitive models, while at the same time, it will have to deal with the Osborne effect of the much-hyped VW ID Neo /ID3 / whatever it will be called. Looking elsewhere in the ranking, besides the #6 position of the hot Hyundai Kona EV, we should also mention the 68% sales jump of the #7 Volvo XC60 PHEV, to a record 1,615 units, while the Hyundai Ioniq Electric joined the Top 10, in #8, highlighting one if this year trends: The rise to power of the Korean models, as we now have 6 Koreans(!) in the Top 20, 3 from Hyundai and 3 from Kia. In #20, we find the Audi e-Tron, that despite being still in demo-mode, it is already on the Best Sellers radar, giving reason to the big success expectations that the 10,000-plus waiting list of the Audi electric SUV is providing. Looking at the manufacturers ranking there are some interesting duels, last year winner BMW (14%) is already in the lead, followed by Hyundai (12%), that came out of nowhere to #2, while Renault and Nissan are running for the last place in the podium, both with 10% share. Just outside the medals, Mitsubishi and Volvo, both with 9%, are on the lookout for an opportunity to join the podium. - Grouping the Top 20 by vehicle segments we have: 7 compact cars (Best Seller: #1 Toyota Corolla), 8 compact crossover/SUVs (#3 Toyota RAV 4), 3 midsize cars (#11 Toyota Camry) 3 full-size pick-up trucks (#2 Ford F-Series), 1 midsize pick-up truck (#19 Toyota Hilux), 1 compact MPV (#23 Wuling Hongguang), 1 premium midsize car (#24 Mercedes C-Class) and 1 subcompact car (#10 VW Polo). - 4 subcompact cars, one of them Premium (BMW i3), (Best Seller: #2 BAIC EC-Series), 6 compact cars (#3 Nissan Leaf), 3 compact crossover/SUVs (BYD Song); 1 premium midsize car (#1 Tesla Model 3), 2 midsize SUVs (#10 Mitsubishi Outlander), 2 fullsize premium cars (#4 Tesla Model S), 1 fullsize premium SUV (#5 Tesla Model X) and 1 city car (#13 Chery eQ). - Chinese models make 55%(!) of the PEV ranking, while on the mainstream market, only one model (or 4% of the total) shows up. A telling tale for the future? - Pick-up trucks are basically non-existent in the PEV market, and yet, on the mainstream market, 4 out of the 25 Best Sellers (or 16%) are pick-ups. This is, by far, the largest hole in the plugin market. - In the A-category, or city cars, nevermind the low 40k units of last year EV leader Chery eQ, with the mainstream leader at just 265k units (Suzuki/Maruti Alto), with the Chinese EV market growing at neck-breaking pace, and the Renault Kwid EV set to land late this year, expect the French EV to take this crown by 2022, unless another model from Chinese or Indian origin does it before that date. - In the fullsize category, the Tesla Model S (50k) sold only 12% of the category leader, the Mercedes E-Class (403k), so amazingly as it may seem, the Tesla nameplate still has a lot of room to grow, until it starts to be relevant in its segment. Same thing for the Tesla Model X, although the ceiling is significantly loweron the SUV category, at 250k, so the Sports SUV has its life easy(er). - Which takes us to the Tesla Model Y. Unlike what 99% think (me included), it might be the case that the Tesla midsize SUV might not have the same growth prospects of its Model 3 sibling, as the Best Selling midsize premium SUV was the Mercedes GLC, at 360k. I am sure the Model Y will take this category leadership, once it is in full speed, let's say, in 2021, BUT, the nameplate full potential might be at around 400k units/year, below the Model 3 (500k?). Traditionally, January, along with February, are the two slowest months in the Chinese plugin market, but tradition is not what it used to be, and with disruption hitting the Chinese automotive market (the mainstream market was down 18% last month), PEV sales were up an amazing 175%(!) YoY, to some 96,000 units, pulling the PEV market share to 4.8%, already above the 2018 result (4.2%), and all of the sudden, my previous forecast for the final 2019 share (8%) seems conservative. Will we see it go North of 10% by the end of December? 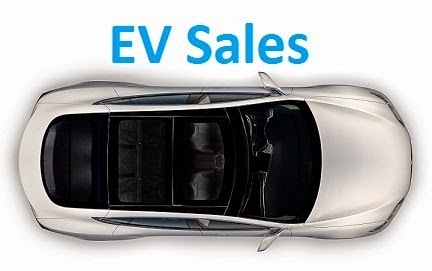 With all this continued growth, we should see sales double this year, surpassing the 2 million mark, making some 60% of all global PEV sales in 2019. This ranking still has some numbers missing, namely imports, but considering we have already over 90% of this month sales tracked, and the exciting results that have been made, we decided to publish right now what we have and update the final numbers later. With symbolic export numbers, the domestic market is more than enough to absorb the current Chinese production, and most foreign OEMs only now are starting to tackle the current seismic changes, dragged into electrification by the new PEV quotas, resulting in the foreign brands total share still being stuck at 5% (imports are still missing, so this number should grow a little, to some 8%). Of this (small) cake, 2% belong to Volkswagen, by far the Best-Selling foreign brand, with the remaining manufacturers sharing the remaining 3% (Tesla should have some 2%, once the final numbers are in). In January, the headlining news were the BYD Dynamic Duo (Yuan and Tang) continued Rise and Rise, with the first surpassing for the first time the 10,000 units in one month. 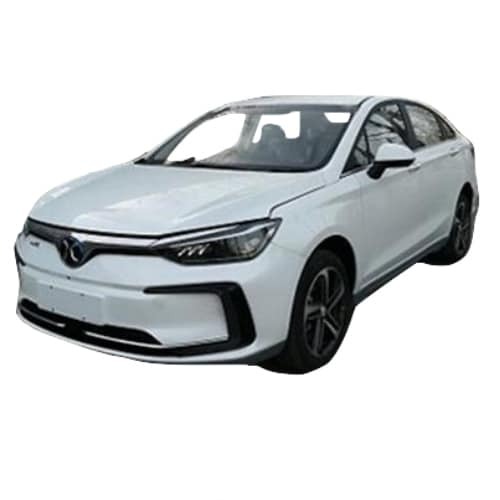 #1 – BYD Yuan EV: We all knew that BYD’s new Baby Crossover was destined for success, and with yet another record of 10,093 deliveries in January, the first time a BYD hits five digits in one month, the brand Star Player is living up to expectations, eating everybody’s lunch, on the way. With a 40,000-long waiting list, demand is no problem, depending more on BYD’s ability/willingness to make them in large volumes (The Tang is more profitable…), than anything else. With unrivalled specs (42 kWh battery, 305 kms/190 mi NEDC range, 174 hp motor), and price (25,000 USD), success is guaranteed, but for some reason BYD still thinks it’s not good enough, so they are going to upgrade the battery to some 58kWh this year…If they have a long waiting list now, imagine then! #3 – BYD Tang PHEV: After 9 months on the market, the second-generation Tang continues to expand sales, registering a record 6,908 registrations. Sales should continue strong for BYD’s successful flagship, and new record sales could still be achieved in the future, although the upcoming (and much anticipated) Tang BEV could steal sales from it. 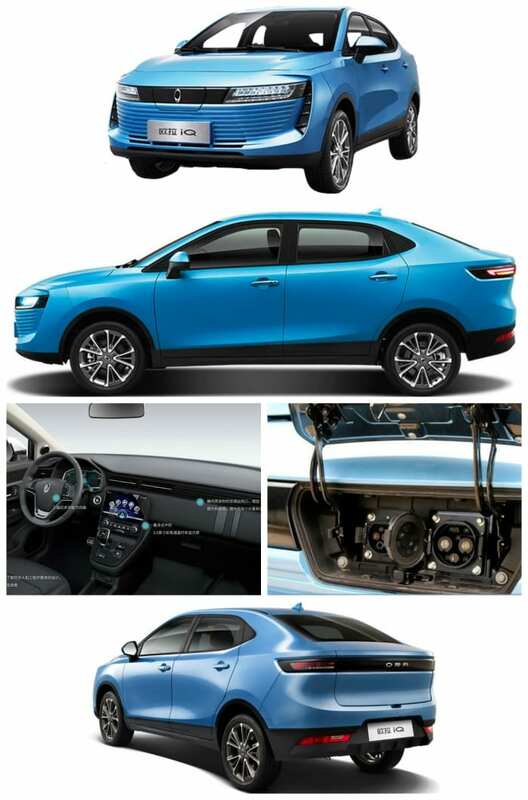 As for the current Tang PHEV specs, BYD’s Midsize SUV saw the battery grow to 24 kWh, originating an increased 100 kms range / 62 mi NEDC (around 70 kms / 44 mi real world), while on the power department, things have stayed the same, but with 500 hp and 0-100 kms/h in less than 5 secs, one can’t really say it was underpowered.... All for CNY 279,800 / $40,816. #5 – BAIC EU-Series: After the record 12,561 units of December, allowing it to be that month Best Seller, BAIC’s electric sedan returned to more normal performances, with 3,895 units being delivered last month, narrowly losing out to its BYD e5 nemesis. The revised design and improved specs (215 hp, 416 kms / 260 mi NEDC, $32,500) allows it to remain a popular choice and resist the BYD Blitzkrieg (the EC-Series can’t say the same…), so it seems the sedan is going to be Beijing Auto’s main bet for 2019. In such an amazing month, there were plenty of models shining, besides the aforementioned records mentioned in the Top 5 Sellers, there were fresh faces scoring record results, like the #9 Geely Emgrand GSE EV compact SUV registering a record 2,808 units, the singular #14 Great Wall Ora iQ5 EV crossover scoring 2,036 units, a new personal best for the Great Wall nameplate, and finally the #18 Lifan 820 EV midsize sedan delivering a record 1,682 units. Another interesting feature in the big reshuffle of the January ranking, is that in the middle of the large number of new faces on the Top 20, we have a couple of export-minded models that are finally surfacing in the Top 20, like the full-size SUV Nio ES8, in #16, with 1,803 deliveries, being January’s Best Selling Luxury model, while the #17 GAC Trumpchi GE3 compact crossover registered 1,683 units. Looking at the manufacturers ranking, BYD (22%) is a comfortable leader, thanks to the success of the Yuan and Tang (and the #4 e5, and the #7 Qin, and the #15 Song…it’s a true BYD fest), while below it, there are significant shifts, with SAIC (14%) in the 2nd Spot, ahead of Geely (7%), while BAIC (5%) had a terrible entry in 2019, dropping to 4th, tied with Chery. One wonders where they will get enough batteries for all that, but then again, they are their own supplier, so just like Tesla, BYD is not dependent from third party supply issues and contracts, which really separates both EV makers from the rest of the competition into a league of their own, allowing them also to upgrade their batteries more frequently, thus winning a critical advantage over their competitors. Austrian plug-in sales started the year growing a moderate 12%, to 741 units, but because the mainstream market is sliding like it was on a ski slope (-12% YoY), the PEV share jumped to a record 2.9% in January, opening bright perspectives for this year. Looking at the models ranking, the BMW i3 jumped to the leadership, with the German hatchback profiting from the larger battery appeal to overcome everyone else. The hot Hyundai Kona EV started the year in Second Place, with 84 deliveries, and promises to be a strong candidate for the 2019 title, unlike the 2018 winner, the VW e-Golf, that registered 71 units (down 38% YoY), earning the 3rd spot. Underlining the good moment of Korean brands, both Kia nameplates scored record results last month, with the Niro EV delivering 36 units, while its PHEV sibling registered 12 units. 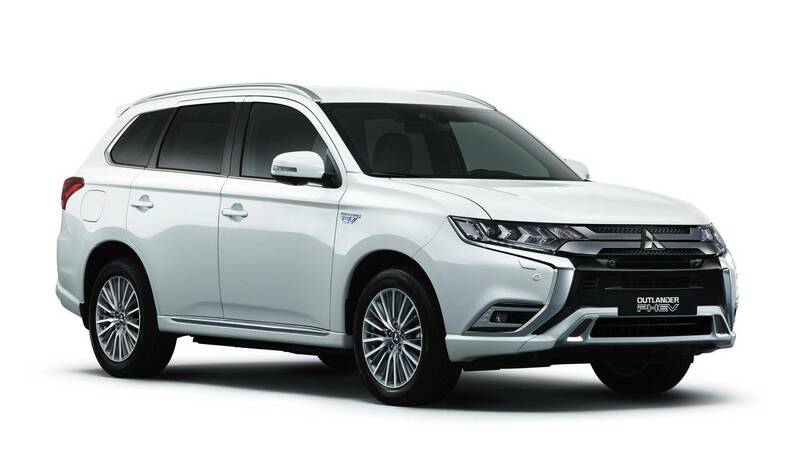 In the PHEV side, there were a number of great results, starting by the record 29 deliveries of the Mitsubishi Outlander PHEV, making it the category Best Seller, while both Land Rovers with names as long as their size also made personal bests, with the LR RR Sport delivering 28 units, while its LR RR posher sibling registered 12 units. But there also good results on the German carmakers too, the BMW 225xe AT registered 17 units, its best result in 17 months, while the new Mercedes C300e/de twins had 16 sales, the plugin C-Class best result in 15 months. Finally, the BMW i8 Sports Car delivered 11 units, its best result since January '15(! ), allowing not only a Top 20 spot, but more significantly, the #2 position in the Sports Car category, only behind the Ford Mustang (13 units), tying with its more normal BMW relative, the BMW 8-Series. In the manufacturers ranking, BMW is back in the lead, with 20% share, followed by Hyundai (16%), while last year winner Volkswagen (11%) is a distant Third, having to keep an eye on Renault and Nissan, both with 9% share.